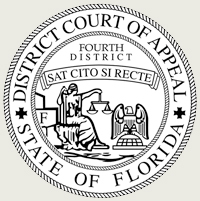 I am happy to report that the Florida Court of Appeals (4th District) issued a ruling on January 6, 2016 overturning a prior restraint restraining order signed by Circuit Judge F. Shields McManus. I previously posted John Textor’s obnoxious court order against Alkiviades (Alki) David which effectively removed any of Alki’s ability to speak or comment about John Textor in any capacity. John Textor is not some anonymous private citizen. He is supposedly an “executive chairman” involved in high-profile Hollywood projects. One can easily Google search John Textor to find out more about him and his illustrious career. He may not be a public figure in the traditional sense but he is not some anonymous “Joe Blow” working stiff toiling in obscurity. If anything, he should expect a greater tolerance of speech about him even if it is someone he did business that gone sour. Like so many accusers, John Textor abused the restraining order process leaving the victim, Alki David to spend money to clean it up. Whether a communication causes substantial emotional distress should be narrowly construed and is governed by the reasonable person standard. In contrast, whether a communication serves a legitimate purpose is broadly construed and will cover a wide variety of conduct. Further, where comments are made on an electronic medium to be read by others, they cannot be said to be directed to a particular person. In this case, Textor alleged that two communications came directly from David to him, both of which were demands that Textor drop his lawsuit. In neither of them did David make any threat to Textor’s safety. From the full e-mail, David’s threats that Textor would be “sorry” if he didn’t settle must be taken in the context of the lawsuit and its potential cost to Textor. Because of the existence of the various lawsuits and the heated controversy over the hologram patents, these e-mails had a legitimate purpose in trying to get Textor to drop what David considered a spurious lawsuit. Moreover, nothing in the e-mails should have caused substantial emotional distress to Textor, himself a sophisticated businessman. Indeed, that they did not is reflected in Textor’s refusal to settle or adhere to their terms. The postings online are also not communications which would cause substantial emotional distress. Most of them are simply retweets of articles or headlines involving Textor. That they may be embarrassing to Textor is not at all the same as causing him substantial emotional distress sufficient to obtain an injunction. Moreover, the postings are more like the blog posts in Chevaldina, which the Third District found were not directed at a specific person, as they were simply generally criticizing the business involved to the blogging public. Even the alleged physical threat made by David in an online interview, that David would have killed Textor if he could have, would not cause a reasonable person substantial emotional distress. In the online article the author stated that “David joked” when stating that he would have killed Textor. Spoken to a journalist for publication, it hardly amounts to an actual and credible threat of violence to Textor. In sum, none of the allegations in Textor’s petition show acts constituting cyberstalking, in that a reasonable person would not suffer substantial emotional distress over them. Those communications made directly to Textor served a legitimate purpose. An injunction in this case would also violate First Amendment principles. An injunction may not be directed to prevent defamatory speech. Here, the online postings simply provide information, gleaned from other sources, regarding Textor and the many lawsuits against him. The injunction prevents not only communications to Textor, but also communications about Textor. Such prohibition by prior restraint violates the Constitution. If David’s communications about Textor are defamatory, then Textor can sue David for damages. For the foregoing reasons, we reverse the temporary injunction and remand with directions to dismiss the petition. As a personal comment, I frequently hear about women abusing and gaming the restraining order process by invoking the “helpless, fearful woman” stereotype. In this case, we have a Florida male business executive being “fearful” of another male executive living thousands of miles away in California making negative comments about the aforementioned Florida man online. John Textor needs to grow up and not be a crybaby anymore. If he can’t defend himself verbally against another businessman, maybe he should get out of business altogether. I’ve lost count to how many cases I’ve read regarding one person talking about another person, and each case’s respective orders and circumstances are the same. With that said, I can’t help to ponder what could possibly be going through the minds of these judges when rendering prior restraints on speech. There are an excessive amount of overturned cases regarding the same subject, speech over the Internet. This has got to be a record high next to prohibition. At some point, this must warrant a review by our higher court because the resources being used are costing millions of dollars. The past rulings are in place, cases being overturned at the federal level, and the Internet flooded with the news after new rulings are released should be enough for any judge to read what they should already know; leave speech alone! I can’t come close to imagining what judges are reading… Golf Digest maybe?